Peter Grogonos interest in computers started at the age of 15, when he built a simple differential analyzer. After obtaining a degree in mathematics from Cambridge University, UK, he worked in several areas of computing, including pattern recognition, operating systems, real-time systems, electronic music, accounting, and civil engineering. In 1976, he joined the Computer Centre (now called IITS) at Concordia to work on a data management project for Donald Ginter (now Professor Emeritus). While working for the Computer Centre, he took graduate courses in computer science, and after completing his PhD in 1984, joined the Department of Computer Science. He is currently director of the software engineering program, whose first cohort will graduate this June, and associate chair of the Department of Computer Science. He has published six books, some of which are well-known internationally, and a number of technical papers. He was the first recipient of the Faculty Teaching Excellence Award in 1998. He likes to maintain a balance between teaching and research, and feels that his most significant contribution to Concordia is the students he has helped in one way or another. Before joining Concordia, Dr. Svoboda worked in industry as an R & D engineer in Prague, and in Zurich in the area of industrial control systems and automation. In the past 15 years, he has integrated his interest in control systems and aerospace, and reoriented his research area towards flight simulation, flight control and avionic systems. Currently, he leads the avionics groups of the Consortium de recherche et d'innovation en aérospatiale du Québec (CRIAQ). Over the years, he generated some $3.5 million in research funds. Examples of current research projects include: dynamic test bed for FMS (with CMC Electronics); LCO problem in flight controls (with Bombardier Aerospace); research in flight simulation/control (with Mechtronix Systems); and integration of real-time flight simulation and CFD (with CAE). The research is conducted within Concordias Centre for Industrial Control, of which Dr. Svoboda is the director. Dr. Svoboda teaches undergraduate and graduate courses in controls, avionics, and flight simulation. He is the current director of the industry-driven MEng Aerospace Program. Mohammed Zaheeruddin received his BE (1987) from Osmania University, and MSc (1980) and PhD (1983) in mechanical engineering from the University of Alberta. He held a post-doctoral research position (1983-1987) in the Department of Electrical Engineering, University of Alberta. He joined Concordia University as assistant professor in the Centre for Building Studies in 1987 and was promoted to associate professor in 1993. 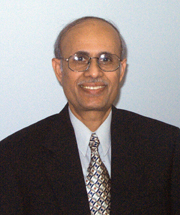 Dr. Zaheeruddin has expertise in both thermal sciences and control engineering. The combination of these two areas of expertise is what distinguishes his work in the area of HVAC control systems. His research in various aspects of HVAC controls constitutes one of the earliest major contributions in this area. He has developed a strong externally funded research program in the Department of Building, Civil and Environmental Engineering in intelligent energy management control systems, and he has been instrumental in the establishment of the Thermal Environment and Control Systems Laboratory. He has also developed collaborations with the industry and government agencies. 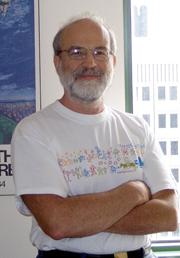 He is the author of 85 technical papers, including 54 in refereed journals. As a recognized expert in the field of HVAC control systems, he has given several invited lectures and conference presentations. 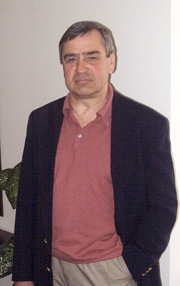 He was associate editor (1991-1999) of Energy  the International Journal. He is an active member of ASHRAE and serves on the Control Theory and Applications Technical Committee. Dr. Zaheeruddin has served as undergraduate program coordinator of the building engineering program and is also a member of several departmental and faculty committees.